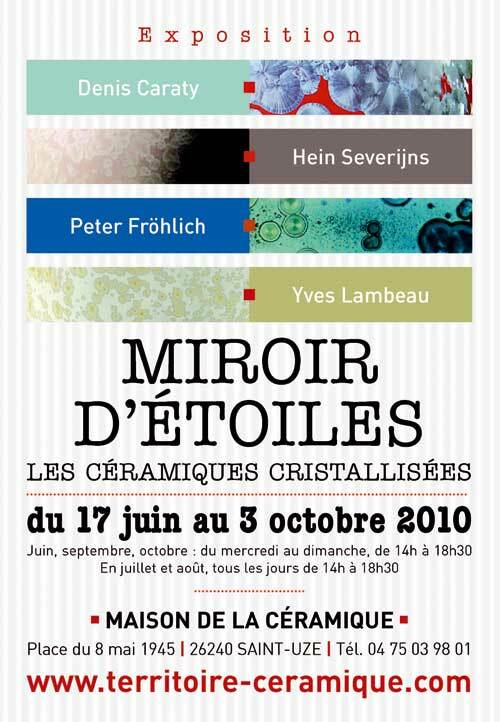 Denis Caraty (France), Yves Lambeau (France), Edmund Deinböck (Switzerland), Peter Fröhlich (Austria), Hein Severijns (Netherlands). 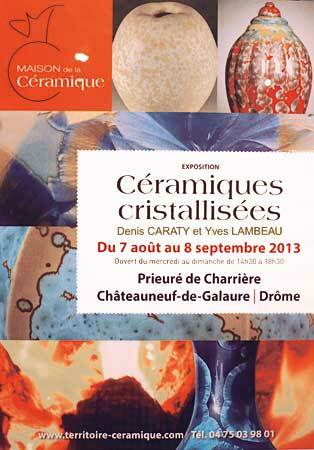 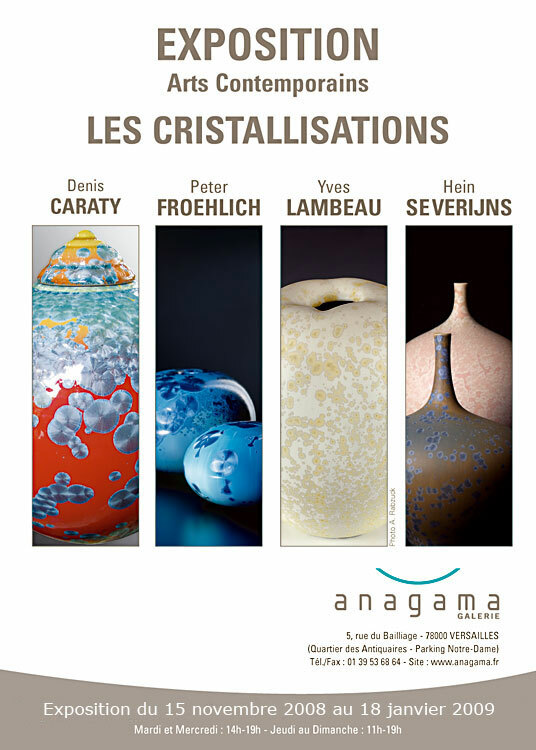 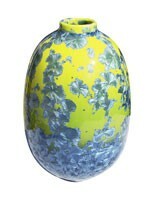 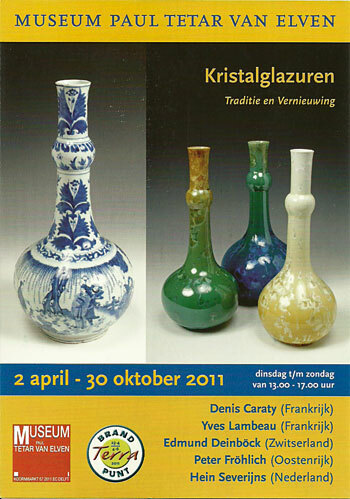 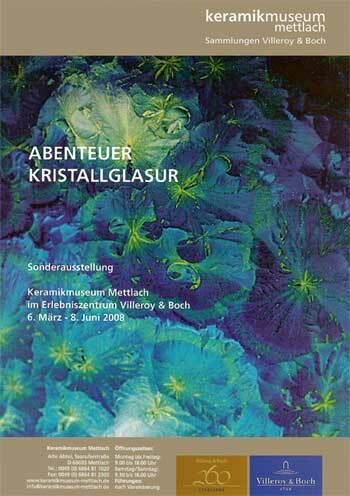 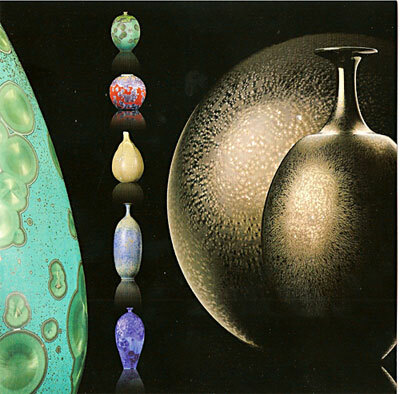 The European Institute of Ceramic Arts in partnership with the Theodore Deck museum, will host from April 21 to June 16, 2012, an exhibition of leading European specialists in crystalline glazes. 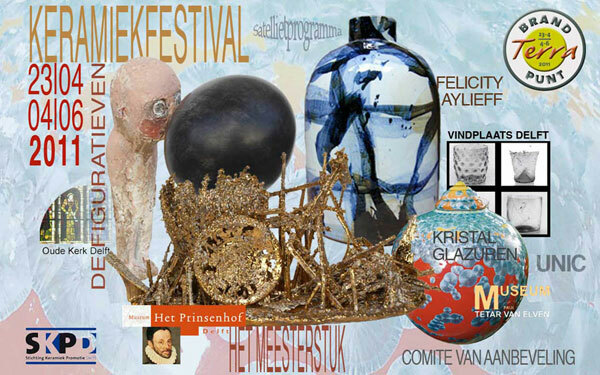 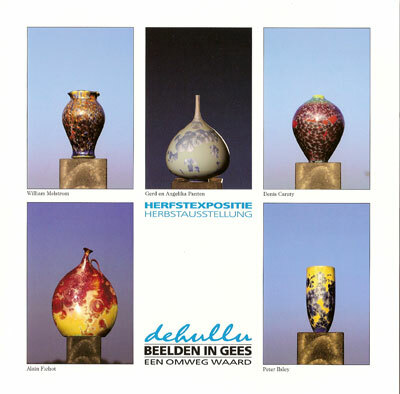 This exhibition is proposed by Hein Severijns, with the group named Stell'Art that is devoted primarily to the creation of crystallized glazes. 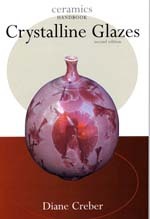 Each of these ceramists explores a universe of its own and plays with the fascinating world of crystal growing in the development of high temperature glazes. 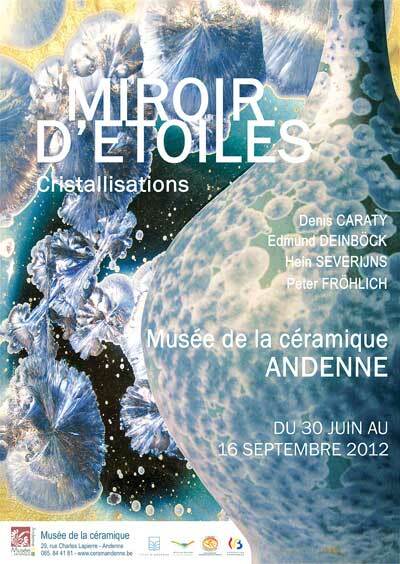 Beyond the technical complexities that exist in their chemical composition and especially on the firing process, Denis Caraty, Yves Lambeau, Deinböck Edmund, Peter Fröhlich, Hein Severijns invite us to ask a close look at these matters and being surprised by the seduction of the material thus transformed. 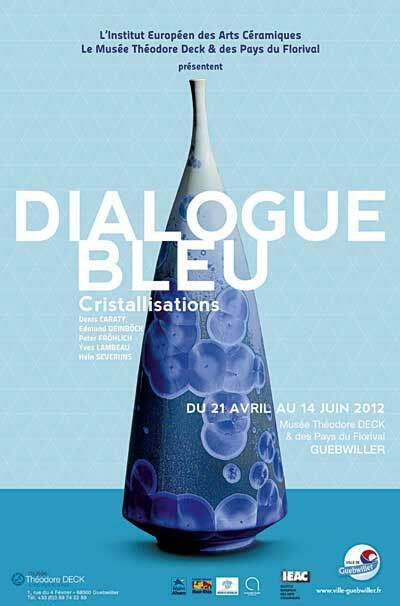 To meet our consistency with the Museum's collection Theodore Deck, our "Dialogue Bleu" creates a potential confrontation with the works of Theodore Deck playing on the chromatic of the blue in color the various approaches proposed by ceramists of Stell'art group.